Bureau B turn their attentions to legendary NDW band, Der Plan. 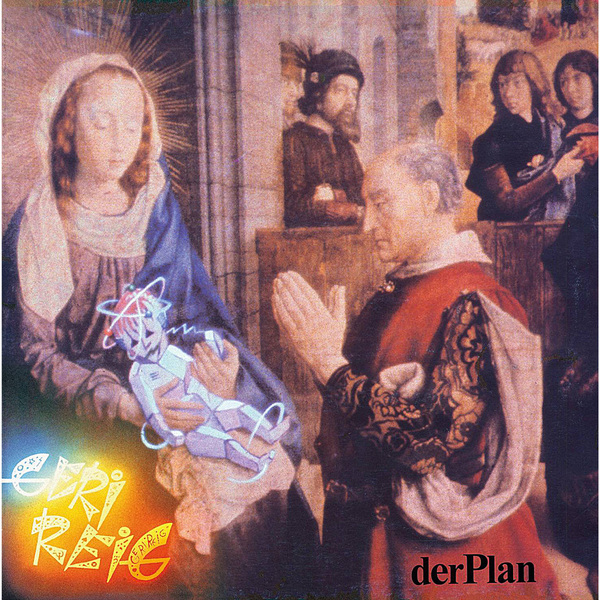 The group from Düsseldorf are essentially the pioneers of Neue Deutsche Welle (New German Wave), heralding the intrepid electronic pop of the '80s with a blend of minimal synth music and avant-garde ideology on their debut album 'Geri Reig'. They certainly weren't alone in Dusseldorf's late '70s/early '80s electronics scene, with Kraftwerk honing their man-machine and E.M.A.K. making pristine proggy experiments, but Der Plan stood out by a mile, coming from noisier industrial roots courtesy of sometime DAF members Kurt Dahlke and Robert Görl. In the very early days circa this album, the group are caught in transition between the rawer industrial pop style, and more refined influences from Kraftwerk and The Residents, resulting in a fascinating, extraordinary milestone of German music and electronic music in the widest sense. Highly recommended!